1.Composite centralizer is designed to reduce drag and friction down hole it have lower friction factors, ultimate drag and rotational torque reduction, increased abrasion resistance for maximum stand-off. 2. Vanes are designed to enhance hole cleaning using maximized flow-by area. 7.Composite centralizer withstands high well bore temperature up to 200 degree Celsius while providing maximum horizontal stand off. 8.These Centralizers are well head friendly and have high impact with shock resistance, and Shock proof along with optimum tensile and yield strength. 9.Composite Centralizer are constructed of one-piece in superior quality polymer. 10.Centralizers are available in standard length only. 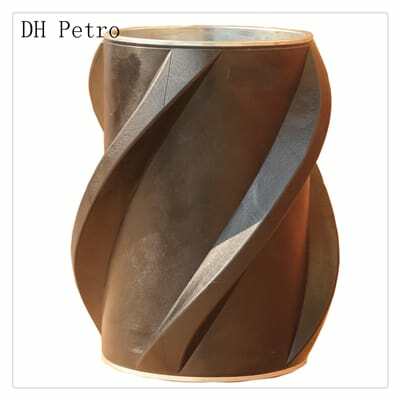 This Centralizer has surface finishing on CNC Lathe, and then rigid inspection makes a quality product.